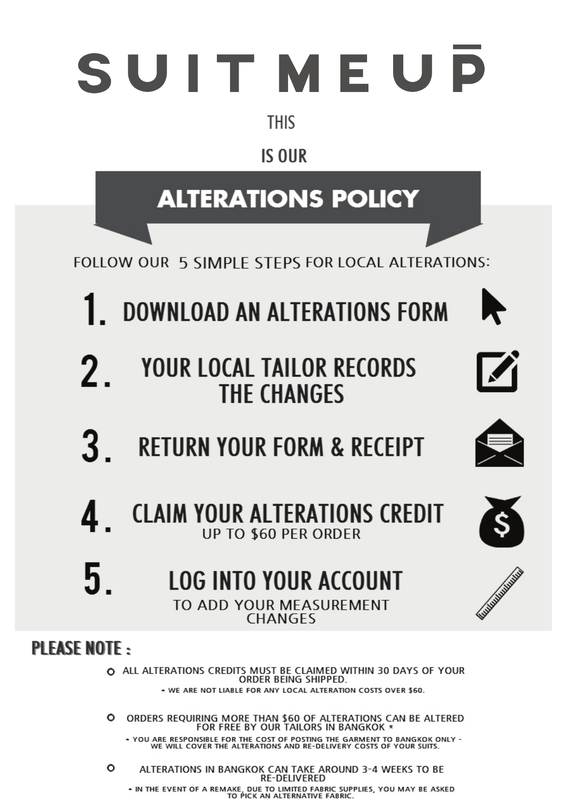 Here is the link to download our alterations form. In the event that your order cannot be altered locally for less than $60 please contact us and we will guide you through the process for remaking at our facility. Please note: we cannot be held liable for local tailoring costs beyond the extent of the guarantee, or which were undertaken prior to our being able to inspect the garment.